For those interested in the history and attractions of the region,below you will find a selection of photographs from around the Borders together with news of current events. 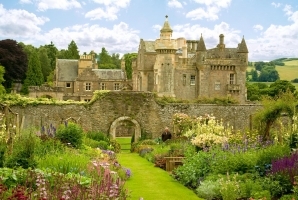 Abbotsford, home of novelist Sir Walter Scott, is on the edge of the town. Scott has links with other towns in the area. Harmony, in nearby Melrose,a lovely peaceful gardenof herbaceous and mixed borders, lawns, vegetable and fruit areas and spring bulbs. While the house is not open to the public, the gardens are well worth a visit for apicnic with fine views of the Abbey and the Eildon Hills. 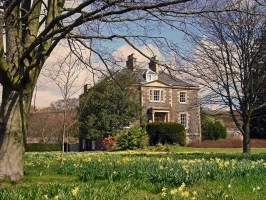 Created almost 200 years ago on the banks of the River Tweed in the Scottish Borders, Abbotsford was the culmination of Scott’s creative ambitions as a writer and the fount of his inspiration. Explore one of four great abbeys established in the Scottish Borders in the 1100s. Built over more than 70 years, Jedburgh is striking for its unusual mix of Romanesque and early Gothic architecture. Fife Coast to the Scottish Borders across Scotland's latest World Heritage Site, The Forth Bridge, then travelling along Scotland's newest line, the Borders Railway. Steam-hauled.